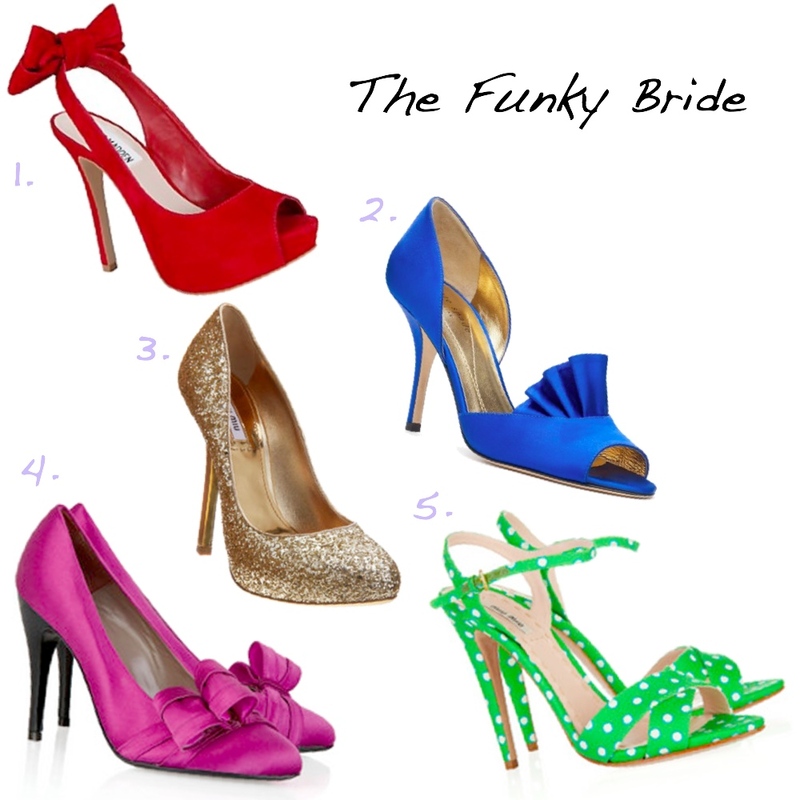 Urban Vows: Say yes to the...Shoe? Hello all my lovely lovers - I asked a good friend of mine, Danielle of Death by Shoe to guest blog on my site. As one of my favorite bloggers and also one of my every-so-often subjects (you may recognize her from a few of my posts!) there's no one I would rather have here as a guest. When it came to picking out my wedding day ensemble I must admit, I spent more time choosing my shoes than I did my dress. The way I see it, a wedding shoe is something you can wear over and over again to re-live that special day and it’s a great way for a bride to showcase her personality. 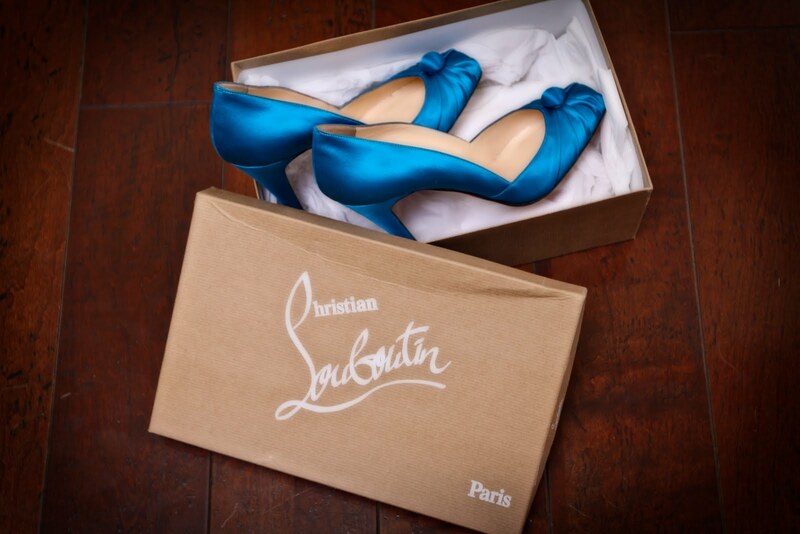 In my case I decided to go with a blue satin Louboutin as my something blue. To this day I still get butterflies when I look at them and only wear them on very special occasions. 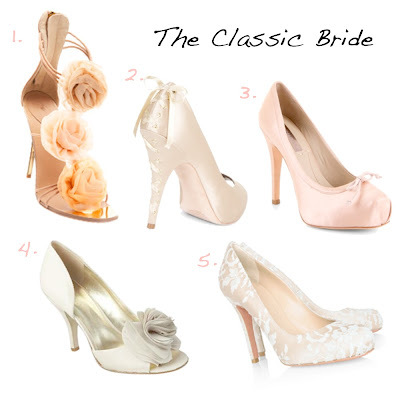 For all you brides out there my wedding day shoe advice would be to go with something that truly mirrors your personality. It doesn’t necessarily have to be the most expensive shoe on the block but it should be something you love, feel comfortable in, and want to wear in your sleep! Here are a few of my wedding day picks! i adore Danielle! great guest post, her blue kicks are so lovely!!! stunning, really. i think i'd never want to take them off again. the "funky bride" mix is my absolute fave! awesome stuff lades. cheers!